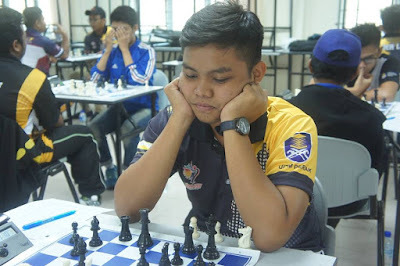 Terima Kasih banyok-banyok GiLoCatur ucapkan kepada Encik Muhammad Arshad dari kedaicatur.com yang telah belanje gambor final round Kejohanan Catur KARISMA 2016 yang diadakan di UiTM Machang Kelantan. It is Saturday today. 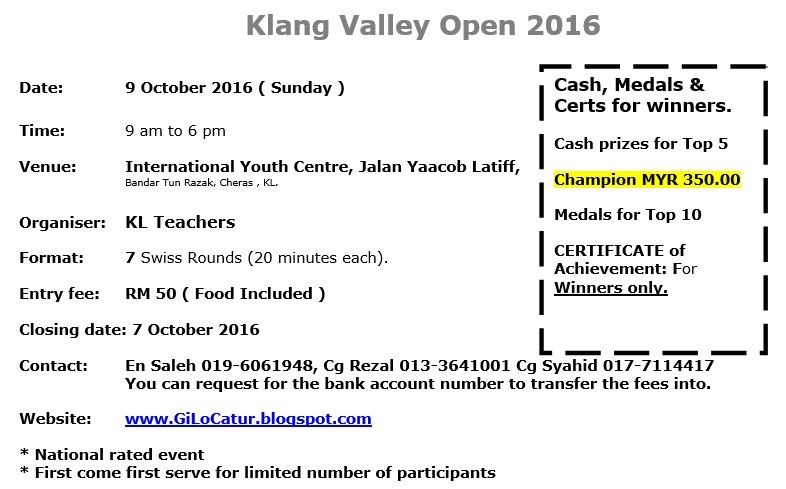 The date is 29/10/2016. 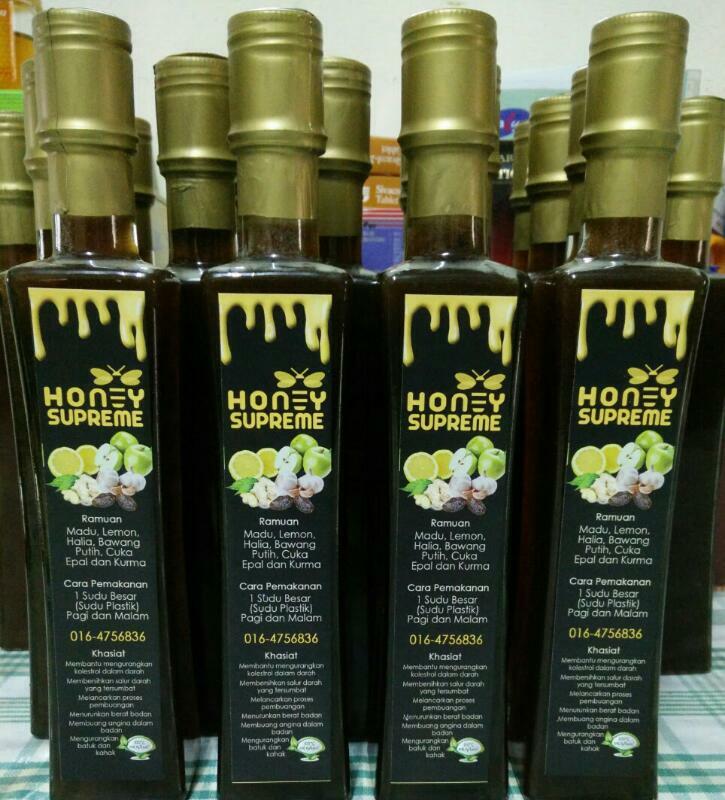 The month of October 2016 is just several days to go. That means two more months to go for the year 2016. How time flies. It is a long weekend since next Monday is a public holiday. 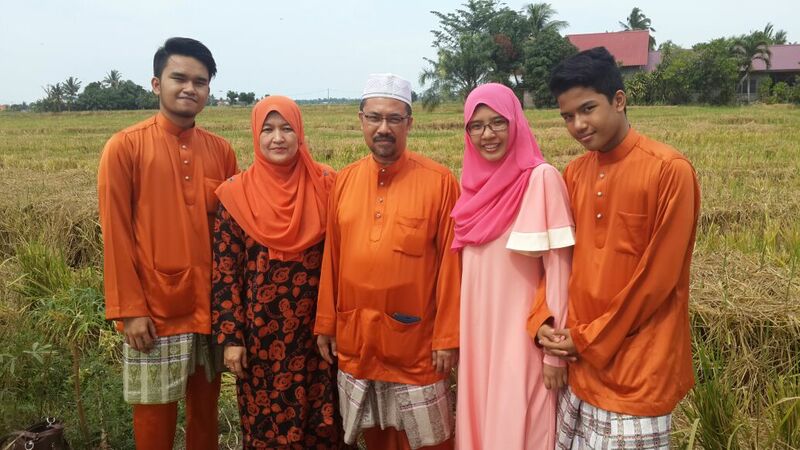 The public holiday is due to Deepavali (Diwali) which falls today. GiLoCatur wishes HAPPINESS to all the Hindus who celebrate Deepavali. 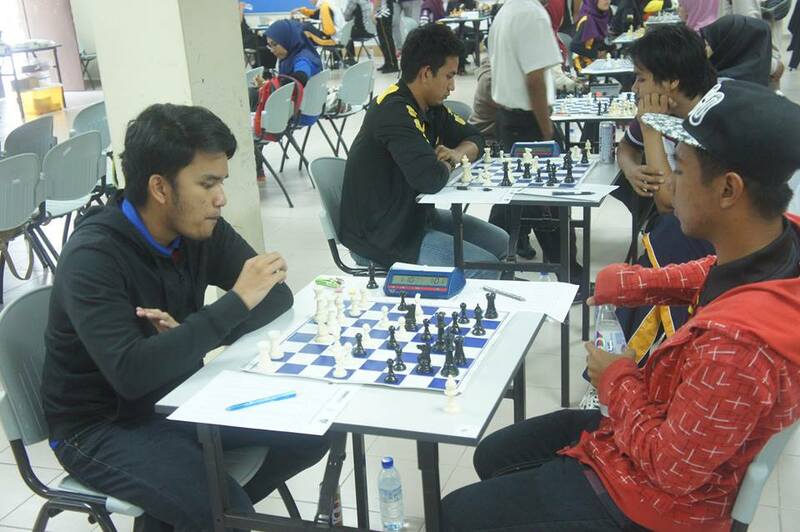 Today, at least there are three chess tournaments are on going. 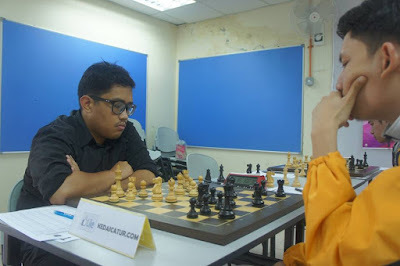 In Kuala Lumpur, KLCA which is the KL Chess Association holds its Chess Closed at Kompleks Rakan Muda Bukit Kiara. 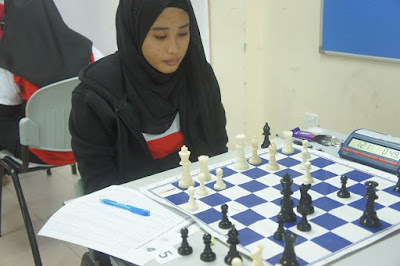 It is a one-day chess tournament with time format of 30 minute per player without increment. It is a six-round championship. 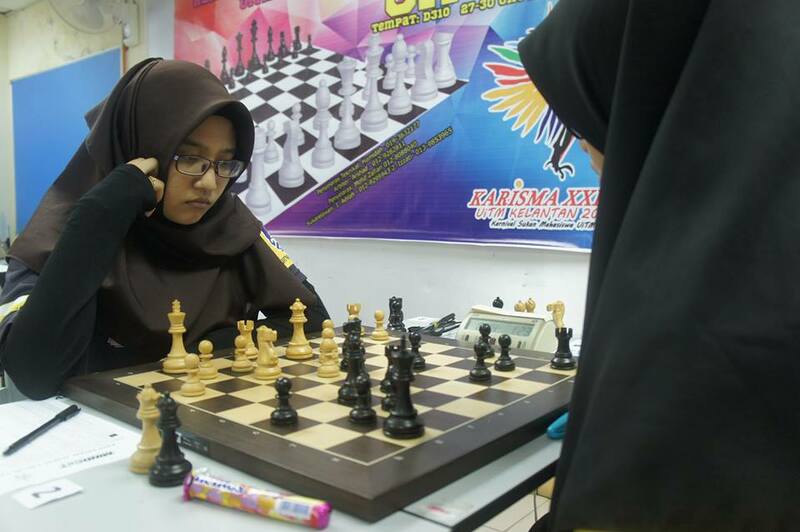 In Sungai Petani Kedah, there is a chess tournament called MPSPK Chess Open. Not much GiLoCatur knows about the tournament except there are two categories namely Under 12 or Primary School and Under 18 or Secondary School. 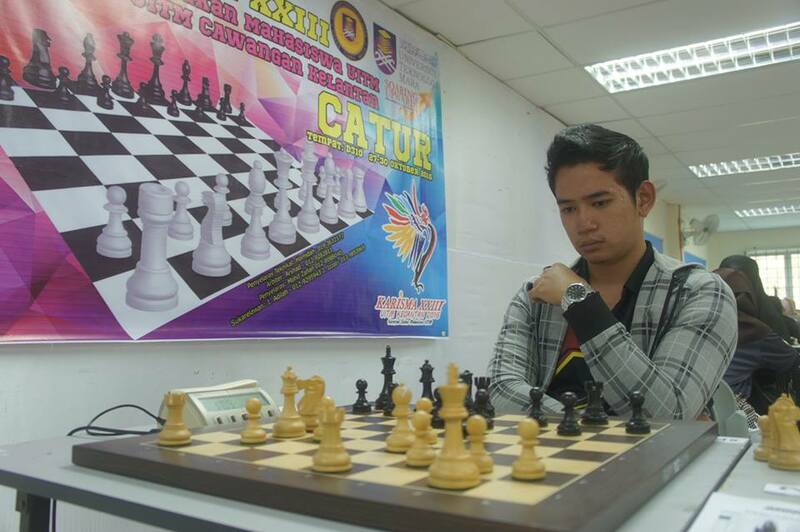 At UiTM Machang, a chess tournament inter-UiTM is being held. Chess is one of the competing sport in the KARISMA Sports Festival. 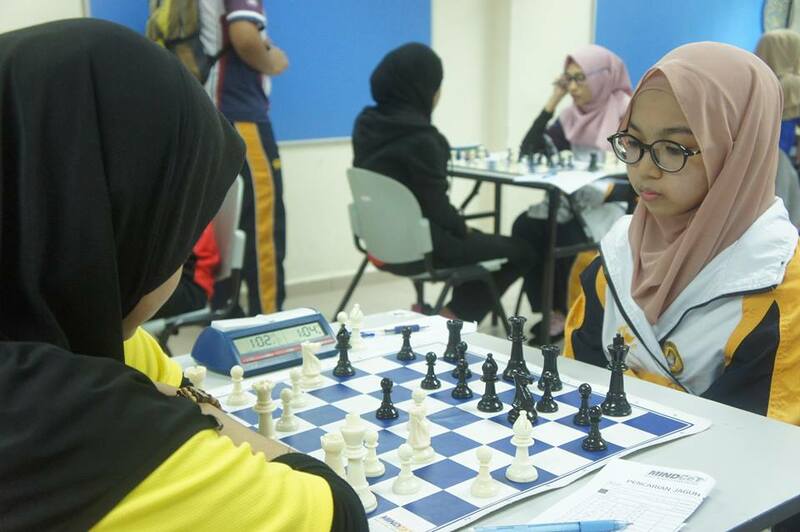 The KARISMA 2016 chess competition began on Thursday, 27/10/2016. It will end tomorrow. 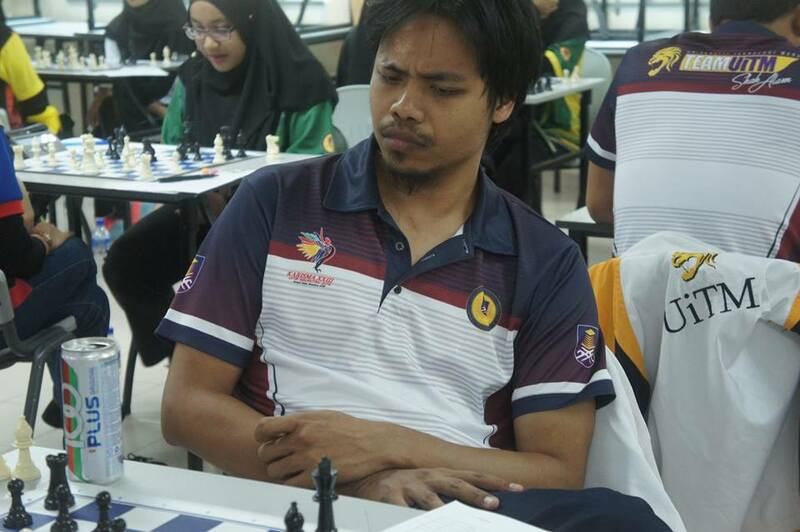 GiLoCatur's eldest son, Fikri, and only daughter, Anis Fariha, are taking part in the event. Fikri represents UiTM Johor for the third time with other seven chess players. Meanwhile, Anis Fariha is making her debut appearance representing her UiTM Perak. Notice that the title of this entry is Chess Live Broadcast? There are more and more Chess Live Broadcast for local chess tournaments. It is very good because it can popularize CHESS in Malaysia. Nowadays there are so many local chess tournaments. 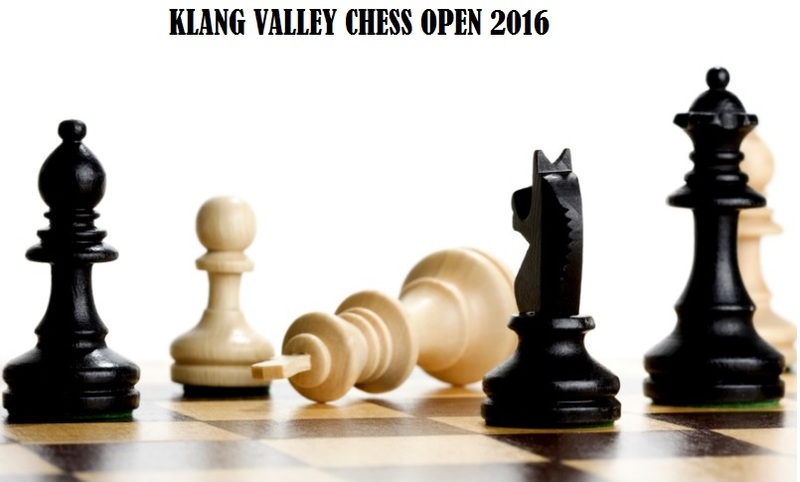 Even there are more than three big chess tournaments being held during same weekend. For instance today, two of the tournaments that GiLoCatur mentioned above are being broadcast live. 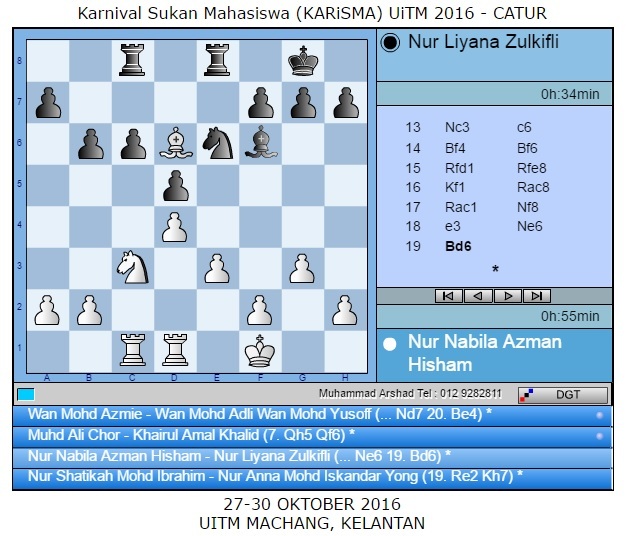 KARISMA 2016 broadcasts the top two boards for each Men and Women category. 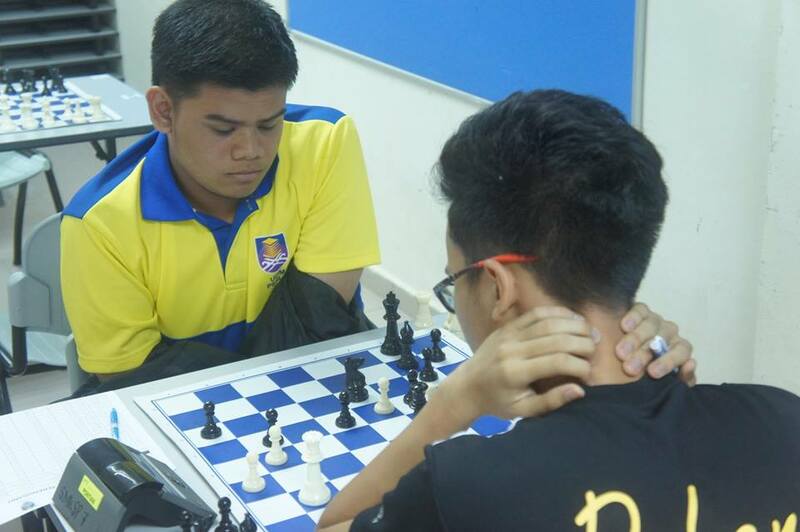 GiLoCatur can follow both Fikri and Anis games live from Shah Alam. The man who is responsible for this broadcast is Muhammad Arshad of KedaiCatur. The broadcast can be followed via this URL link. 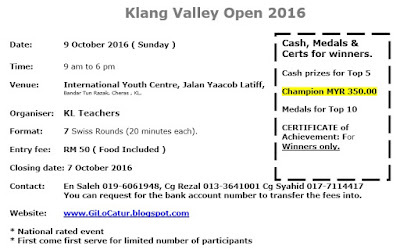 For KL Closed 2016, the top four boards can be followed online. 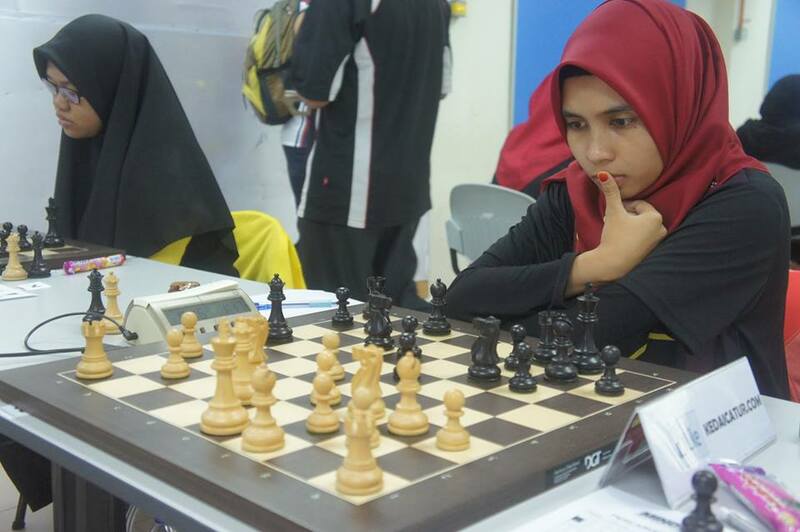 The broadcast is made possible by AI Chess, AB Chess Putrajaya and Young Chess Masters (YCM). 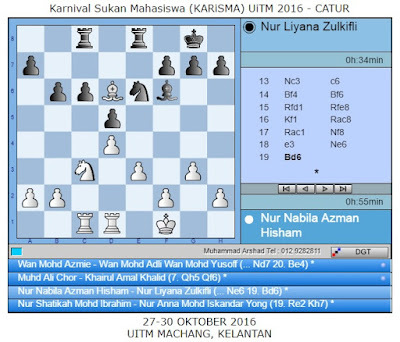 The Malaysian chess community should take advantage of this broadcast to boost up and improve chess in Malaysia. 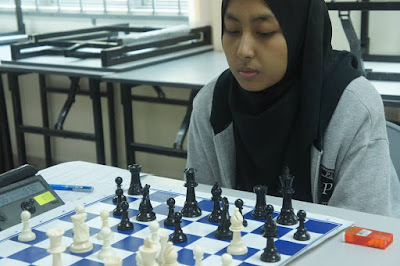 Berita baik buat pemain-pemain catur yang mempunyai national rating 1700 dan ke bawah. 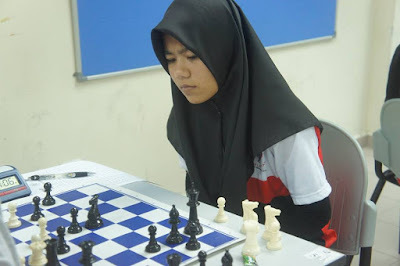 GiLoCatur memohon maaf kerana ada kesilapan tentang kejohanan catur ini. Dek salah faham oleh GiLoCatur berlaku misunderstanding. 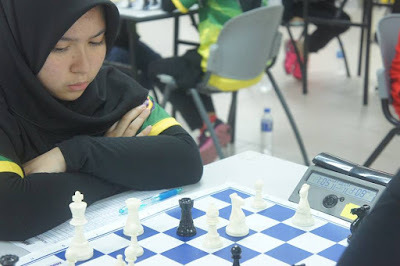 Sebenarnya chess tournament yang bakal berlansung pada hari Ahad, 9 hb Oktober 2016 ini adalah open; bukan hanya kepada pemain2 catur yang memiliki national rating 1700 dan ke bawah sahaja. Mari .. mari .. mari ..
Untuk makluman, 8 Oktober merupakan HARI SUKAN NEGARA.